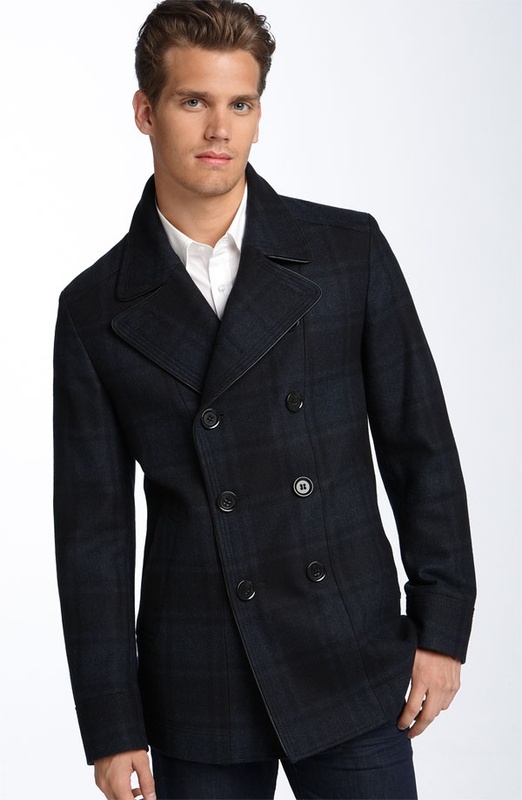 This BOSS black plaid peacoat includes a number of fine details to distinguish it from similar outerwear. In addition to the dark plaid pattern, the double-breasted wool-blend jacket features leather piping. Classically styled with a notched collar, the warm jacket is equipped with multiple pockets, and available online now. This entry was posted in Outerwear, Tops and tagged Black, BOSS. Bookmark the permalink.